No home entertainment system will be complete without the Best TV DVD Combo of 2019. In this case, you will be provided with a device that can play your favorites movies and a screen at which it can be seen. This will prove to be a perfect companion whether you are alone or with your loved ones. The difficult thing about choosing the best combo of the said devices is the fact that the market is saturated with a lot of options. As you can see, they differ a lot on different factors, such as brand, size, features, quality, and most importantly, price. 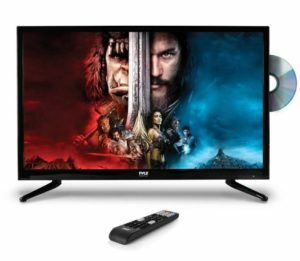 The remaining parts of this article will provide you with more information on the different best TV DVD combi that are currently made available. The products will be grouped according to size, and their features will be mentioned to help you decide which model can be picked. Let’s start with the small TV with DVD players. If you are looking for a small flat screen TV with DVD player built in, you should opt for those that come with 13.3 inches TV screen. 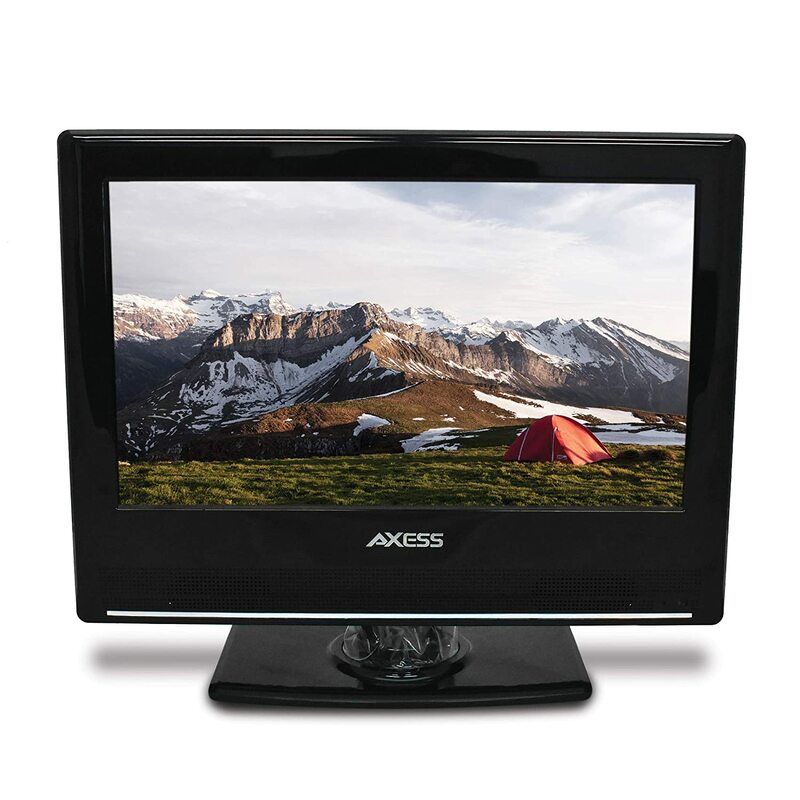 Cheap television DVD combi like Axess TVD1801-13 is an ideal choice for those people who live alone, or for those who are living in small areas and constrained in terms of space for your appliances. Aside from being small and compact, another good thing about choosing the 13.3-inch TV/DVD combo is that the TV has a wall-mount design. This means that it can be conveniently attached to your wall. It will surely look wonderful, just like a beautiful piece of frame with animated images. If you are traveling or spending some quality time in a place other than your home, such as on a yacht or on your truck or RV, there will be surely no problem with these combos. They are often AC/DC compatible and can be powered by 12 Volts. Their portability is perhaps one of its selling points, without having to sacrifice the ability to deliver a satisfying viewing experience. SuperSonic SC-1312 (now discontinued) was another model of this size worth checking out. There are TVs under this product category that comes along with a multitude of ports that makes sure of its connectivity to various devices, not just to the DVD player that comes along with the screen. With this, you will be given flexibility in terms of the gadgets that can be used to enjoy this product. Even if the TV that comes along with this combo can be relatively small, no need to worry about its product quality. Majority of products has the ability for the conversion of the video to a 720p quality that comes close to what can be offered by HD. Most of the 15.16-inch models can be powered from 12V power supply just like the smaller TVs, so there is no need to settle for 13-inch TV for your RV. 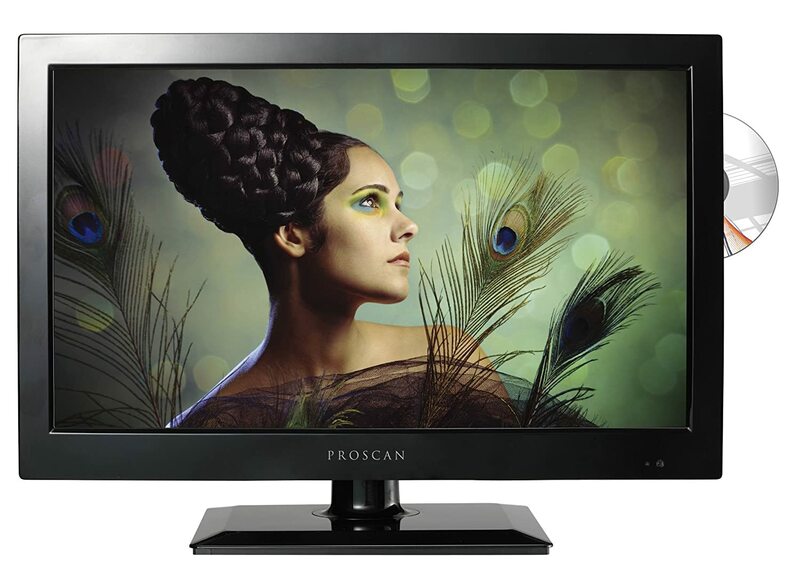 If you are looking for a larger screen than what has been earlier mentioned, you can opt for one of the 19 inch televisions with DVD player like Proscan PLEDV1945A-B that are also as functional, yet bigger by a small fraction. Even such a small difference can do a lot to change your viewing experience. The loudness and clarity of the sounds of the TV/DVD combo set that fall along this size have been commended by many customers, even at a room that is 250 square feet. It is surprising how a product of such small size can deliver good sounds. In addition, many customers have also opted for this basically because of its price, which allows them to get the best value from what they have paid for. Many models are also energy efficient, which means that they consume less electricity. 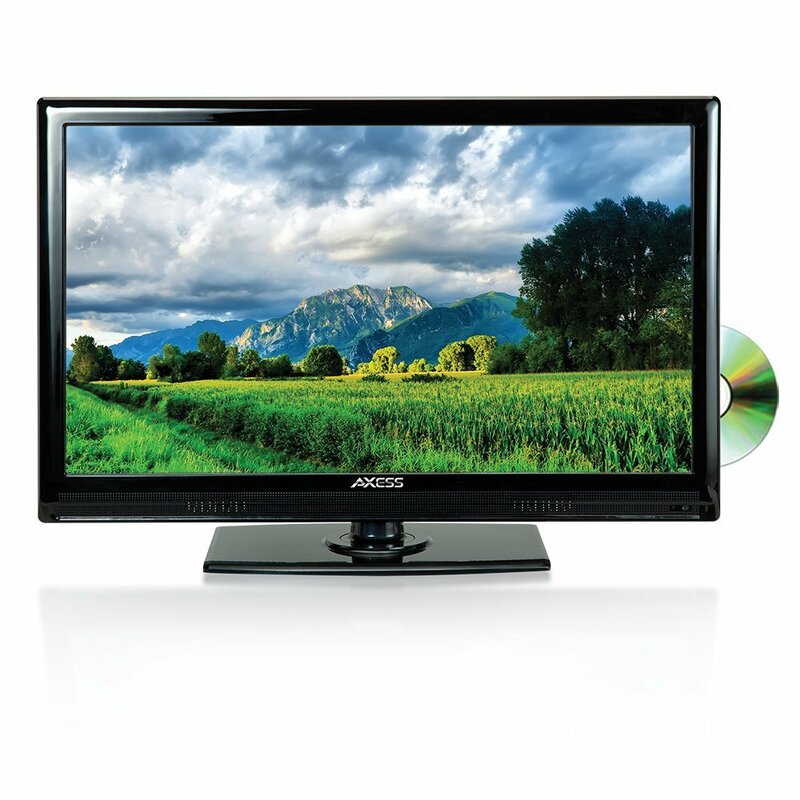 The 22-inch TV DVD combo that is being offered by JVC can be one of your best options within this product category. Some of its features include the ability to reduce digital noise and an integrated player that can play a multitude of contents. Skyworth, Axess, and Naxa also excel in the production of this product category. One of the best things about models like Axess TVD1805-22 is that it runs on 12 volts. However, although minimal in terms of voltage, you should not expect anything less in terms of its performance, as it is comparable to other models with higher voltage. If you would want to play contents from your memory card, the TV and DVD combis that fall under this size will have the ability to do so. It has slots that will allow you to view contents other than those that are loaded on discs that are being played by the player. When I wrote the first draft of this post, the 24-inch and 28-inch models were not popular. Now the 24in models have almost completely replaced 22in models in the market. If looking for a medium-sized TV, a 24-inch model is the best for you. 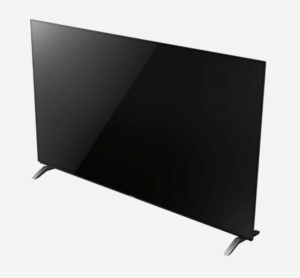 Go for a TV that supports the 720p resolution if running on a low budget and for the 1080p if money isn’t much of a problem. Both models aren’t 12V compatible. Also, go for a smaller screen if you are a camper or an RVs and get to enjoy all that the screen has to offer even while on vacation. This HDTV has an inbuilt DVD player that enables you to enjoy your favorite movies without the necessity of purchasing a separate player. The model also comes with a single remote control that commands all the functions of the TV and multimedia player. The TV is very easy to assemble, and you do not require any expertise to start enjoying your favorite programs from this model. The good thing about it is that it picks up almost all the local channels giving you the chance to know what is happening within your locality. With this model, you’ll also get the chance to listen to your favorite music since all you have to do is insert a flash drive into the USB port. 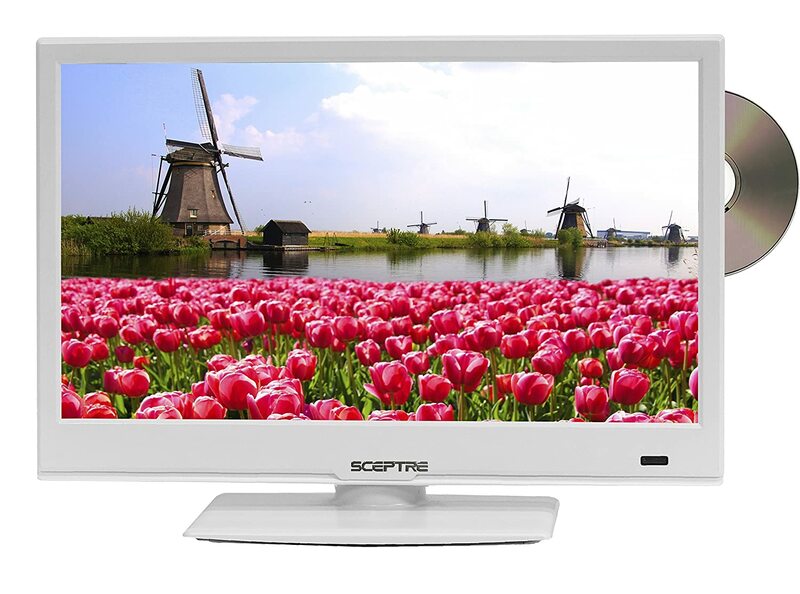 You’ll also view your pictures on the TV through a slideshow with the help of the USB port as well. Get this model, and you’ll never have to worry about the quality of your videos or audio. It’s HDMI input delivers unbeatable high definition videos and clear sound at all times. The model is very convenient and compatible with stereo receivers. These models have been replaced by larger 32in models that cost the same money. Many of products in this category offer the possibility of having multiple connections, which means that you can do more than just watching movies using the built-in player. You can also conveniently plug gaming consoles and your computer, among other things. I will not go deep into details about 32-inch models, because we have reviewed them separately here in 32-inch TV DVD combo review. There used to be multiple manufacturers including Magnavox and Proscan offering combo units with 37-inch screen size, but this screen size is obsolete these days. If you are looking for a decent size unit, you should consider a 40-inch combo TV. Nothing feels perfect like sitting down at home watching a film from a big screen TV. 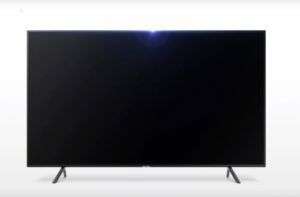 If this is what you are looking for, a 40-inch model will give you that exact satisfaction and especially if it comes with an inbuilt DVD player. You’ll get a chance to listen to listen to your favorite music and also go back to your memory lane by looking at your pictures from the TV. 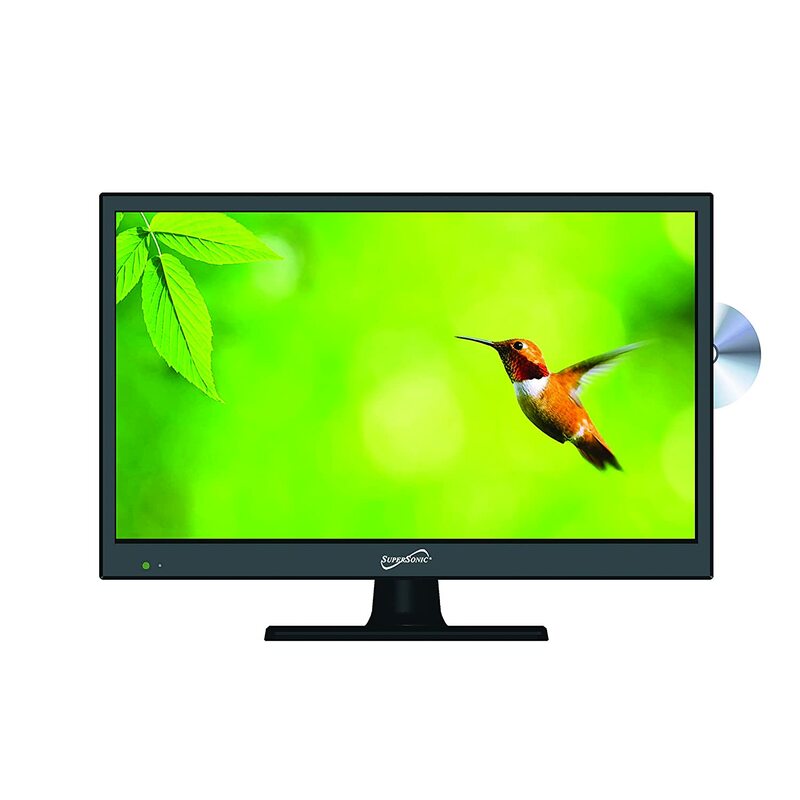 This TV is a full HD LED model that comes with an inbuilt DVD player as well. The TV isn’t too big or bulky and therefore easy to carry from one room to another without difficulty. Purchasing the TV saves, you the money you could have otherwise spent in buying a separate multimedia disc player. The TV is easy to set up and operate. If you are a gamer, this is the perfect model for you as it has a VGA input enabling you to play a game of your choice. 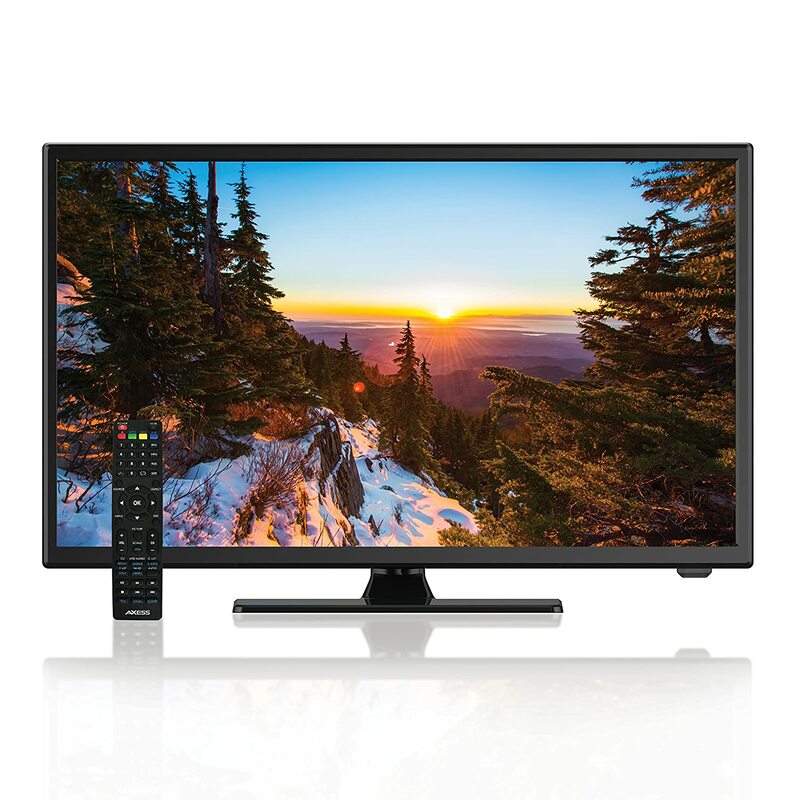 The TV comes with remote control and has the ATSC and NTSC tuner to suit your digital or analog broadcast needs. This model gets exceptionally bright, enough to light a dark room and still look great at the same time. Picture quality from this TV is perfect, and you also don’t have to be standing next to it to hear with ease as it has a good sound quality. 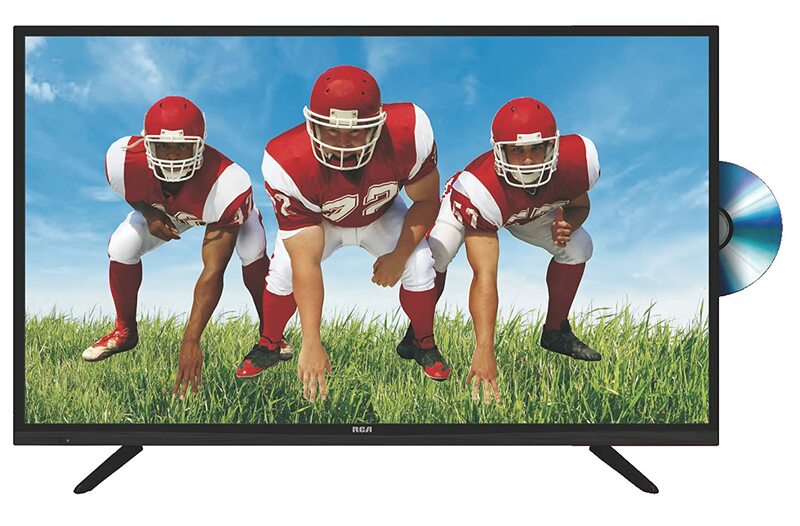 If looking for a quality 1080p 40-inch screen size full LED TV, one that offers excellent quality images and practical features, one that you won’t have to rob a bank for you to own, this model is an excellent fit for you. The TV will give you a chance to have all the fun you’ve been craving for and atall times. Sadly the popularity of undercabinet multimedia devices is on the decline. They are being replaced by more versatile and portable notebook computers, smartphones and tablet computers. If you love cooking and if you spend a lot of time in the kitchen, make the most out of your time by using kitchen TV and DVD combos that can be placed under your kitchen cabinets. Slice, cook, wash, and do other kitchen chores while watching a good movie, or perhaps, watching a cooking demonstration. 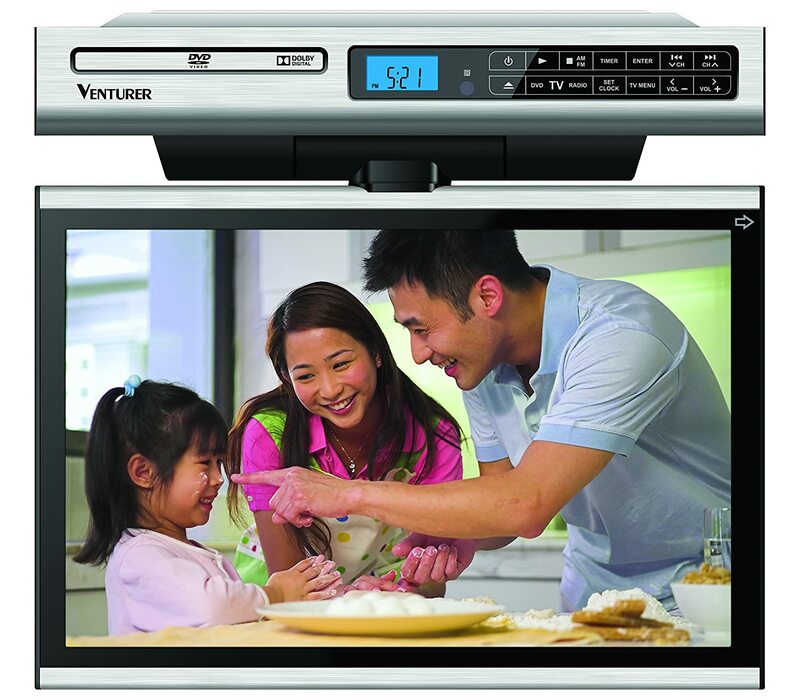 Venturer KLV3915 with 15.4 inch screen is one of the most popular models in this category. Aside from the fact that the combo units in this category already come in a compact size, it will allow you to save even more space because it can be folded when not in use. This means consuming less of your kitchen space. Are you tired of watching TV and video discs? There is no need to worry. The under-cabinet TV with DVD players are also equipped with radio functions. This will allow you to listen to your favorite FM or AM station if your eyes ever grow tired of being glued to the screen. I was considering writing the review about portable TV/DVD combo players, including 12V TV combos and battery powered players. Then I realized that it will be very difficult to find a truly portable combo set. Why? Let’s check out the terminology first. The television set is a device with a screen that is capable of receiving a television signal using the built-in TV tuner. The combo device also has built-in DVD player. The smallest television and DVD combo with TV tuner is 13″ device mentioned in the beginning of this post. There are also smaller DVD playing devices with 9″, 10″, and 11″ inch screens, but they do not have a television tuner and they lack the capability of receiving the TV programming. They can not be considered TV. These are portable multimedia players. Then there are small televisions with screens as small as 7 inches, but they do not have DVD playing functionality. Many of them can play content from USB storage and SD or MMC cards. So they are television receivers, not combo devices. So if you are looking for a portable device with a screen, you have to choose between small television with multimedia playback capability (except DVD disk playback) and portable DVD player without TV receiver. 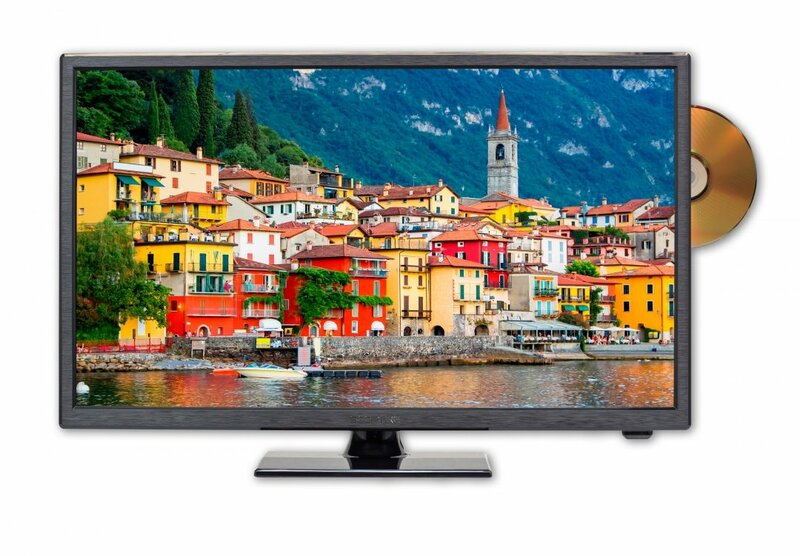 Q: I am looking for a Toshiba television with DVD player but I can not find any. 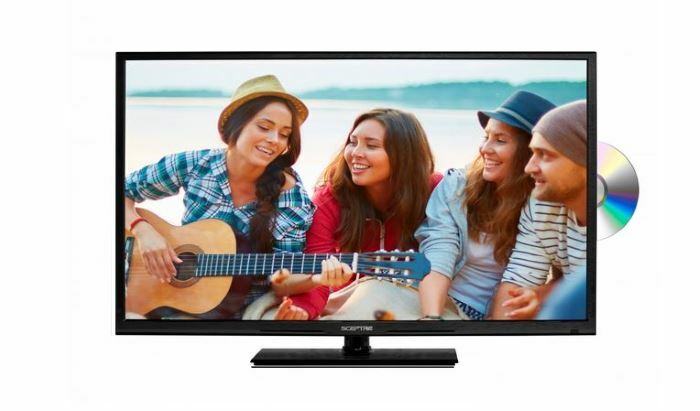 A: Toshiba used to sell several popular combo models like Toshiba 32SLCV411U 32” LCD DVD TV combo (720p HD resolution, PC input and 3 HDMI inputs, Photo Frame function, DynaLight Backlight Control). I have checked several popular online retailers, and now it looks like Toshiba has stopped manufacturing televisions with DVD players.